Vocalist, Violin, Keyboard, Cello, Electronic Music. 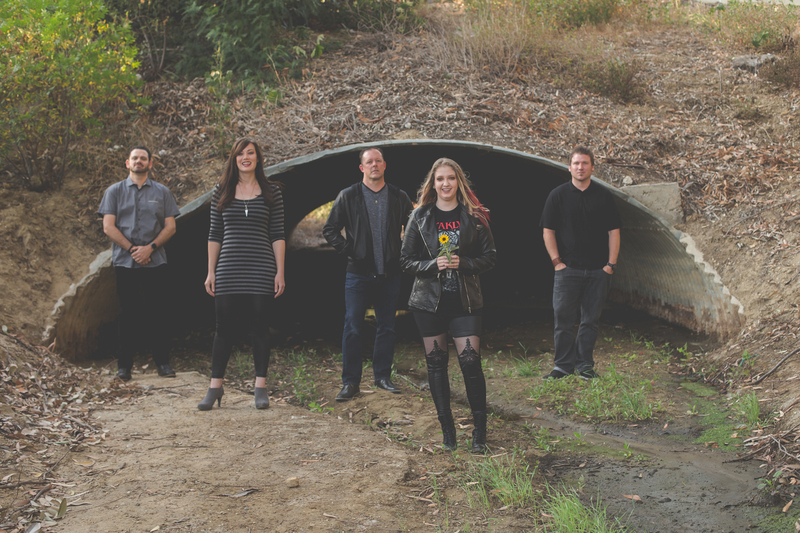 FifthLaw, an Alt/Rock/Pop band (think equal parts Kings of Leon/Mumford/ColdPlay with a Green Day punch) based in North Orange County, began in late 2014 as a 4-member band, and quickly evolved into a 5-member group, with two lead singers (male and female). Our first EP was released in 2015, and we have played many shows, festivals, and have an upcoming opportunity to be play a date on the 2016 Warped Tour. With over 23K followers and a great fan base, and a solid ReverbNation following (as of this post #1 in Rock Nationally), our passion for music has been deeply fulfilling. But we had a feeling that our lead female singer would not be with us forever as she was moving in a different direction artistically. Sadly, that day has come and the remaining members of the band are looking to start the next chapter of this journey. The original 3 members of the band will be staying. Chad Kneubel- Drummer, Erick McDougall Bass and backup vocals, and Chris Dyer Guitar and Songwriter. We are open to new directions for the band, and eagerly await the future conversations around direction, band name, and focus with the next (and hopefully last) singer and frontwoman/man. What we expect: A hardworking singer that can play an instrument on stage, who has the ability to captivate and excite an audience through the performance and humble interactions during a set. Each person has their strengths, and we do our best to help each person focus their efforts and duties in the band around their strengths. In the end, however the chips fall, each member should be contributing equally to the bands success. This person should have the passion to make time for practice, shows, and individual improvements. We all have obligations and responsibilities. But only those that are passionate about music, and their band, will make it work. Where we want to go: As a SoCal band, our immediate focus is on shows and events in CA, and recording original material. When the right opportunity presents itself, we want to be poised to take it. We do want to work with any new band members to finalize goals that make sense for everyone, and ensure we are always getting better. The look, feel, and sound are all intricate/important parts of success. Now all we need is……you? To be considered, please email any demos and videos, and what you want out of a band to fifthlawband. Please include your cell so we can reach out. Also list any instruments you play, past experience, music education, etc… If you have a link to a profile that has this data, you can send that instead. And the usual: Zep/Beatles/Stones/Cash, etc.